Description: Learn to read and graph your own flat peyote patterns. 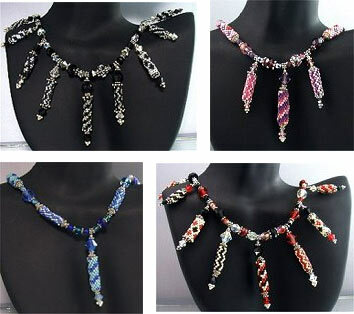 Turn your designs into beaded beads of various sizes. String or dangle groups of beads to make a unique necklace and earrings. Instructions with a full color photo of the project can be purchased for $0 in PDF format.